The Bolster ( full forge)of the knife’s construction provides balance, safety, heft and authority. The Blade Satin finished blades, tapers from heel to tip ending in a point with a very sharp tapered cutting edge. The Full Tang construction ( Full Forge) continues in to the POM handle (Polyoxymethylene, is an engineering thermoplastic used in precision parts that require high stiffness, low friction and excellent dimensional stability. 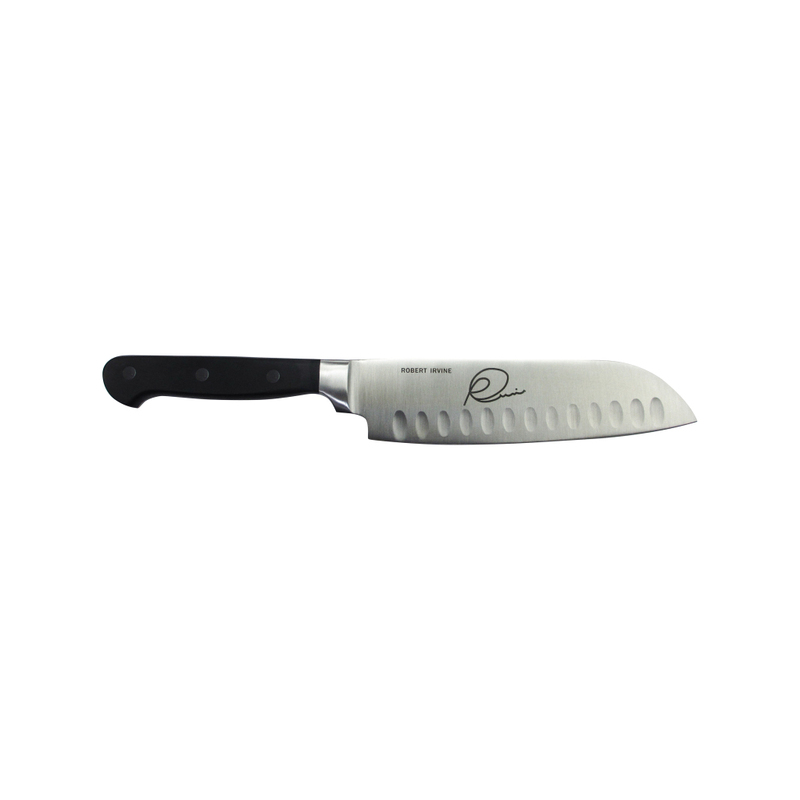 Granton Edge Santoku knife,- edge type with scalloped depressions along the blade.